Mental illness and emotional health challenges impact many of us, including artists and other creative people. According to a National Institutes of Health website, an estimated 16.2 million U.S. adults aged 18 or older had at least one major depressive episode in 2016. 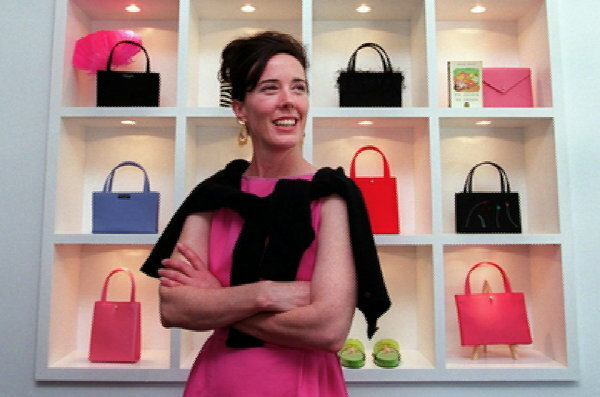 As news stories reported, the death of fashion designer and entrepreneur Kate Spade on June 5, 2018 at age 55 was ruled a suicide, related to severe depression. Her family said it was not unexpected, and she had suffered years of mental illness. She had been self-medicating with alcohol, and was concerned hospitalization would harm her business image. 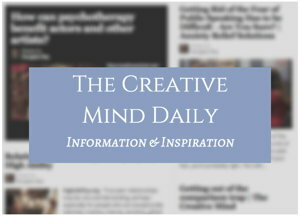 Psychotherapist Mihaela Ivan Holtz helps creative people in TV/Film, performing and fine arts. She also writes about the emotional and creative pleasures and challenges of their inner lives on her site Creative Minds Psychotherapy. Let’s be honest, you know you lived with depression for a while now. It comes and goes, and it never really goes away. At times, your art is your haven where “the blues” can’t really touch you. At other times, even your creative energy is taken away when the depression invades you in its darkest shades. Sometimes, you think to reach out for support. Maybe you can find some purpose or meaning. Or, perhaps you can find a way to feel alive and inspired for more than the moments when you’re expressing your craft and finding your flow in your art. You want to wake in the morning without being held back by the blues that keep you hostage in a lonely and disconnected world. You want to be seen, valued, appreciated and emotionally fulfilled by simply being you, the artist and the person behind your art. But what really hides beneath your depression? We tend to think that we know what depression is and minimize the messages that it’s trying to convey to us. Often, depression is just a symptom that covers deeper wounds. Depression can mask the experience of being an unloved child. A lack of emotional acknowledgment and love in the early years can leave an adult with a continued sense of loneliness, disconnection, and emptiness. Depression often emerges in the aftermath of early emotional trauma. Your natural life energy can be repressed by unresolved early emotional injuries such as abandonment, rejection, criticism, shame, humiliation, loss, or abuse. Emotional trauma doesn’t have to be a big shocking event. Emotional trauma is any experiences that won’t allow you to really bloom. Depression can also be brought on by a failure of individuation. This can happen if you were not allowed to explore this big and beautiful world as a child, so you can find yourself and understand where you belong. If you don’t have the chance to individuate you can’t really be of touch with yourself. You don’t truly know who you are or what you want. What are your dreams and aspirations? What makes you tick, what makes you hide? What makes you spark, what makes you cringe? If you live like this for too long, eventually you cease to exist on an emotional level. The lack of authentic and fulfilling relationships can cause depression too. All people need genuine connection to feel alive. You need to be inspired, motivated, and validated and cannot thrive when you’re starved of joyful connections. We feel and become our best selves through connections that feel right. Or, depression may simply be the result of a genetic or biological predisposition. When you have a genetic predisposition, depression can be more easily triggered by your circumstances. At the same time, what we might call a genetic predisposition may be just an unhealthy emotional environment that gets passed down from generation to generation. Emotional circumstances impact and even change our genes. With that in mind, you can actually change your genetics through your own emotional transformation and this will positively impact the next generations too. Despite the different flavors and causes of depression, there is one common thread among all of them: loss of vitality. Inherently, we are all born with a life force. We are all born with the predisposition to survive, become, and thrive. Our life energy enables us to create, to connect, and find purpose and meaning. But, sometimes, something happens, and our natural life energy gets trapped. When we can’t express that life energy, depression takes over. As an artist, you found your art in order to connect and express your life energy. So, the question is: what is the story behind your depression? The lonely abandoned child? The rejected child? The child of the alcoholic parent? Or, maybe, the survivor of abuse? Whatever your story is, you can rediscover it and rewrite it. Lower photo: In a 1997 magazine interview, Halle Berry talked about the devastation she felt when her then husband David Justice ended their marriage, leading her to consider suicide. “I took my dogs, and I went in the garage and sat in the car. For two or three hours, I just cried and I cried. I thought ‘I can’t face it.’ I think that’s the weakest I have ever been in my life. That’s what the breakup of my marriage did to me.